Thinking of buying the Microsoft Surface Pro 3 or another Windows Tablet? Windows Tablets have come a long way in the past two years since the original Microsoft Surface and Surface Pro were announced. Microsoft attempted to address some of the quirkiness of Windows 8 via the 8.1 update (although many issues remain). The Windows App Store now has over 400,000 apps. Many popular mobile apps are now available for Windows 8 and Windows RT. Prices have come down on both Windows 8 tablets and Windows RT tablets. More and more people are embracing the platform. The third iteration of the Microsoft Surface Pro is clearly the best version so far. It has a large, bright, high resolution display, and improved kickstand, an improved battery life. The SP3 is already outselling previous versions of the Windows 8 Tablet according to Microsoft. This bodes well for the Microsoft Tablets as well as the entire Windows 8 Tablet platform. Not everything about the Microsoft Surface Pro 3 is positive however. It’s one of the most expensive Windows 8 Tablets you can buy. The keyboard accessory is a much required add-on, yet it costs extra. Windows 8 still has some useability issues that must be addressed. Should you buy the Microsoft Surface Pro 3 or any other Windows 8 Tablet? Is the Surface Pro 3 worth the price? 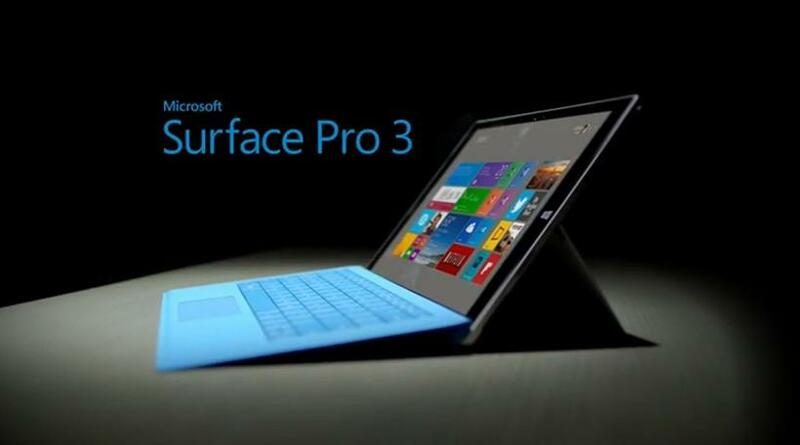 Should you upgrade your Surface Pro or Surface Pro 2? In this article, I review the Microsoft Surface Pro pros and cons. I review a list of several of the Surface Pro’s advantages and disadvantages, benefits and drawbacks. Large, bright 12 inch display: I really love the SP3’s screen. One of my favorite things to do with the Surface Pro 3 is to watch live HD TV on it. Intel core processing power: While most Windows 8 Tablets these days contain an Intel Atom Processor, the Surface Pro 3 only ships with Intel core processors. Consumers get to select between an i3, i5, or i7 CPU. The extra processing power enables SP3 users to have an experience comparable to that of a conventional laptop. Thin and relatively light: The Surface Pro 3 packs a lot of functionality and power into a relatively thin and light package. While it’s not uncommon to see powerful, thin devices these days (Macbook Air anyone? ), to achieve this in a tablet form factor is a great feat. Improved kickstand: One of my biggest gripes with the original SP3 is that the kickstand didn’t allow for different viewing angles. The new kick stand has a wide range of motion which makes the Surface Pro 3 easier to use in different situations. Included stylus: Pen input is a must have for Windows 8 Tablets as it makes interacting with the desktop mode easier. This is especially true for using legacy apps that have small buttons and other controls. I’m glad that not only is the SP3 stylus pen compatible, the pen is actually included. While I don’t make a lot of use of it’s pressure sensitivity myself, I recognize the advantages it offers over simple pen input. Ability to run desktop Windows Apps: Windows 8 Tablets do not have the tablet-centric app ecosystem that iOS and Android enjoy. However, Windows Tablets do possess the ability to run millions of desktop applications. This includes legacy apps from previous versions of Windows. This includes full versions of popular apps such as Adobe Photoshop. This also includes niche Windows apps that you use at work or for school. Hooking up a monitor and keyboard to a Windows Tablet allows you to have a full desktop computing experience, assuming the tablet in question has the processing power required for its intended use. Having this capability allows Windows 8 Tablets to offer a lot of value over iPads and Android tablets. Keyboard cover accessory: The “Type Cover” keyboard accessory is a must have for anyone considering a Surface Tablet. It allows the SP3 to function as a full laptop replacement. The device itself is nifty in its own right. It functions as both a keyboard and a protective cover. It features backlit keys. It connects/disconnects from the Surface with ease and can be flipped around to the back of the Surface to facilitate tablet mode. Best of all, when you close the cover, the Surface Pro’s screen turns off. While not perfect, the Type Cover is an absolutely must have accessory for the Microsoft Surface Pro 3. Full size USB 3 port: While many Windows Tablets come with a MicroUSB 2.0 port, the Surface Pro 3 includes a full size USB 3 port. Thus, the SP3 is able to take advantage of the extra performance offered by USB 3 and a USB-to-MicroUSB adapter is not required. Improved battery life: One of the knocks on the previous Surface Tablets was the relatively short battery life. While the SP3 still doesn’t compete with battery sippers such as the iPad and the best Android Tablets, it definitely is better then the previous Microsoft Tablets. Versatility: The biggest advantage the Microsoft Surface Pro 3 has over other devices is its versatility. With one device you get the typical tablet experience, plus the ability to get real work done. The SP3’s processing power, full Windows 8 compatibility, and keyboard accessory allows it to transition seamlessly between work, school, and play use cases. Sure, you can add a keyboard to an iPad or Android tablet. However, in neither case is the OS and most of the apps optimized for keyboard use. Plus, the processing power of those tablets do not come near to that of the Surface Pro 3. As you can see from the list above, the Microsoft Surface Pro 3 definitely has some advantages that allow it to compete favorably with the iPad, the best Android tablets, as well as other Windows Tablets. While the SP3 has a lot of features that make it a compelling device, there are definitely some drawbacks and limitations to be aware of. In the next page I review the Microsoft Surface Pro 3 cons. Thanks for a fine review. I’ve been reading as much as I can about the SP3 and am almost…almost about to buy one. Perhaps I just need a little nudge. In addition to the daily web browsing and using Office, I will also use the SP3 to stream online videos regularly. Therefore, I’m still concerned with ‘dropped’ wifi connections and overheating. There seem to be conflicting write ups about whether this issue has been resolved with updates. Also, have you tired the docking station yet? This has helped me a lot, I do have one question. I have a Surface RT and I am not sure if I should get the Surface Pro 3 to replace it. What are the differences between the 2? I really liked reading your article!